I encountered Mariya Takeuchi’s song “Plastic Love” during a random scroll on my YouTube feed. The tune was placed alongside a picture of a young school girl flashing a radiant smile towards whomever her eyes had crossed with. What did I expect from her? Yet another doll eyed Japanese idol wanting to grab my attention? Setting aside my doubts, I listened through the song. Nostalgic would be a less than stellar word to describe my thoughts and feelings when it ended, but it’s awfully close in that manner. “Plastic Love” brought back a hypnotic sense of déjà vu – like you’ve heard the song before and can’t help but be engrossed in a dreamlike trance. Illustration of Mariya Takeuchi by Triple Q. It also sounds very retro. There’s a distinct 1980s vibe with its repetitive low pitched synth, some distant backbeats and light percussion thumping in the background, and Takeuchi’s vocals echoing a tone of bliss and loneliness. 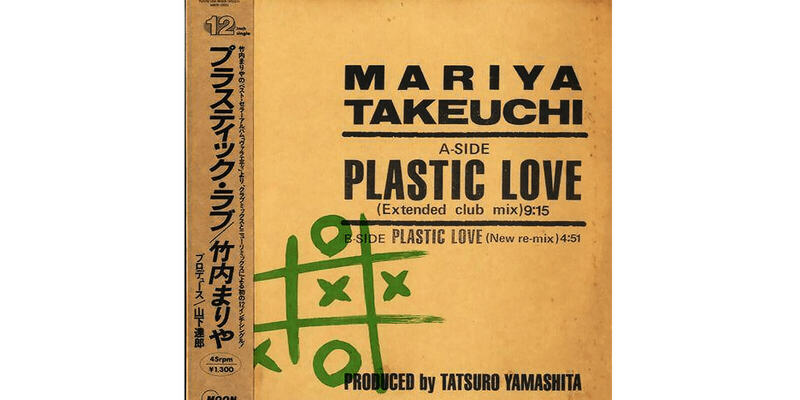 I’m not going to bore you with some musical analysis, but understanding its time and place will help us understand why “Plastic Love” has gained Mariya Takeuchi a cult following. Enter vaporwave – a subgenre of electric funk music built upon the foundations of smooth jazz, lounge, and elevator music. Vaporwave is known for its strong aesthetic from the 80s and 90s. It’s been used as both a recurring meme among Internet circles and a tool for relaxation. Among its features are bizarre uses of Renaissance era head busts, slowed down infomercial music, jingles, and music from the 1980s – 1990s. 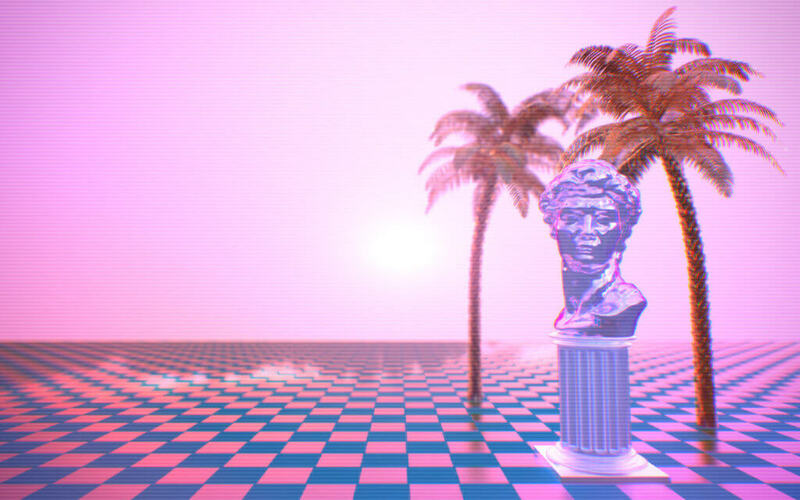 Vaporwave style visual by Rafael De Jongh. It’s all meant as a postmodern commentary – a digital movement to subvert pop culture and capitalism by chopping up and splicing existing media properties, tweaking them so they look and sound unfamiliar, and sprinkling in some glitch art and cyberpunk flair. As a side note, I compared one “Plastic Love” single from Takeuchi’s 1984 album Variety to the YouTube version and the latter is a few minutes longer than the one on the album. So I suspect some tampering may have been involved to stretch out the track. One of the original album covers of Plastic Love. Perhaps with an audience as cynical as millenials are on the Internet, I think I get why this song got popular and resonated with a circle of YouTube listeners. Even if you don’t know Japanese or haven’t read the English lyrics, you can still feel the sad emotions with Takeuchi as she slowly serenades her audience. The word “plastic” is key to understanding the song because it tells us that love can be manufactured, reproduced, and imitated. It is only an artificial copy rather than the real thing, and that’s the message that hits hard. With its seemingly harmless sound and infectious beat, “Plastic Love” lulls listeners into an innocent state of inertia. Like the person Takeuchi sings about in the song, it’s easy to think that maybe we’re all taking part in hedonistic lifestyles to run away from our own loneliness. We know something like love isn’t genuine, but we choose to live life in blissful ignorance. There are several messages you can take away from this song, but that is the one I felt most resonated with myself. So let’s just play some games and dance to the plastic beat. 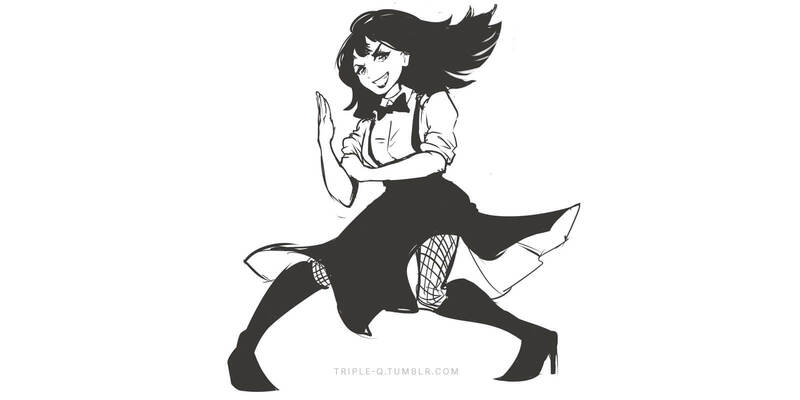 We all know it’s plastic love, so let’s finish before the morning comes.